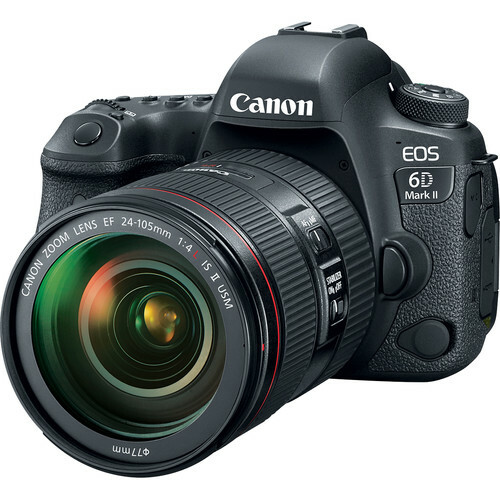 The new addition to Canons full-frame cameras with specs and recommended lenses. 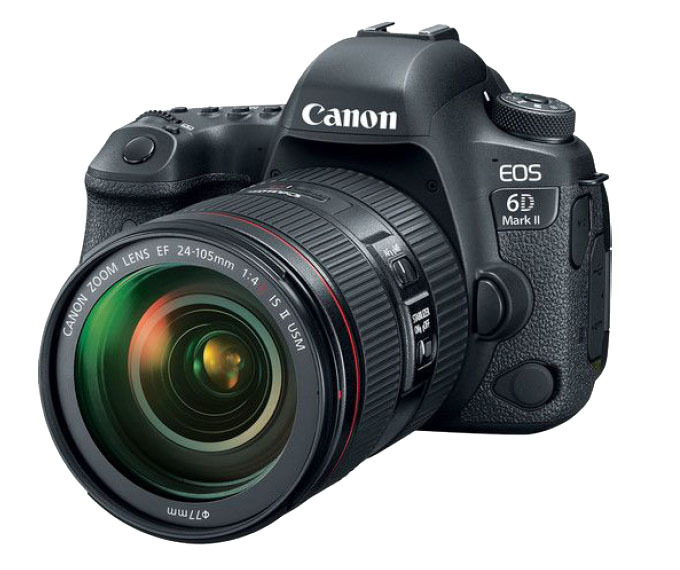 Celebrating the National Camera day, Canon USA Inc., has timely announced their new full-frame camera, EOS 6D Mark II. The camera has been designed for the advanced-amateur photographers. It has been 5 years already since its predecessor, 6D, has been released and both topside and underwater photographers are thrilled with this announcement. The camera is packed with great features such as 26.2 MP CMOS sensor, the dual pixel AF similar to the the 5D Mark IV, DIGIC7 Processor, touchscreen, wifi/gps and a lot more. 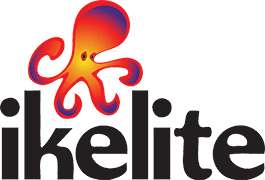 This is a promising full-frame camera and we are expecting to produce great results underwater. Do you Buy a Full Frame or Crop Sensor? 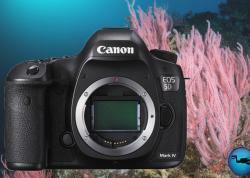 Full frame cameras are becoming more and more popular among underwater photographers. Many photographers are upgrading systems to full frame and many brand new photographers are purchasing full frame as their first camera system. But even with the popularity of large sensors, the crop sensor has a strong place in the mirrorless and DSLR market, and actually excels in many areas of undewater photo and video. 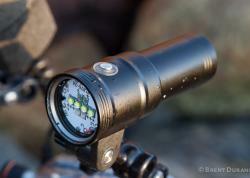 Larger sensor is more sensitive to light. Better performance at high ISOs, specifically with electronic noise and color. Less depth of field at the same apertures results in smoother bokeh. Cheaper than full frame camera body. The standard 1.6 crop factor (1.5 on Nikon DX) essentially magnifies the image, bringing you closer to that shark swimming in the distance or to filling the frame with a small nudibranch. 1. Most lenses deliver their best image quality in mid-range apertures. 2. Higher apertures become prone to diffraction. 3. Lower apertures allow more light to hit the sensor, which helps bring more vibrant color from video lights (when shooting video), while maintaining necessary depth of field for the shot. Have more questions? Contact the experts at Bluewater Photo, who can guide you to the perfect camera setup for your shooting style and budget. The Canon 6D Mark II uses a full frame sensor, making it compatibly with Canon's EF lenses plus compatible 3rd party lenses. 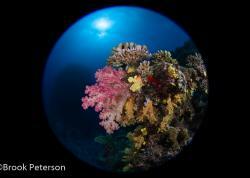 Underwater photography generally falls into two categories: wide-angle and macro. The lenses below are best for shooting in these styles with the Canon 6D Mark II (and all Canon full frame DSLR bodies). This smooth and fast lens should be in every experienced (Canon) underwater photographer's bag. It provides the magnification needed for shooting small macro subjects and the tiniest subjects when combined with a diopter on the outside of the housing port. 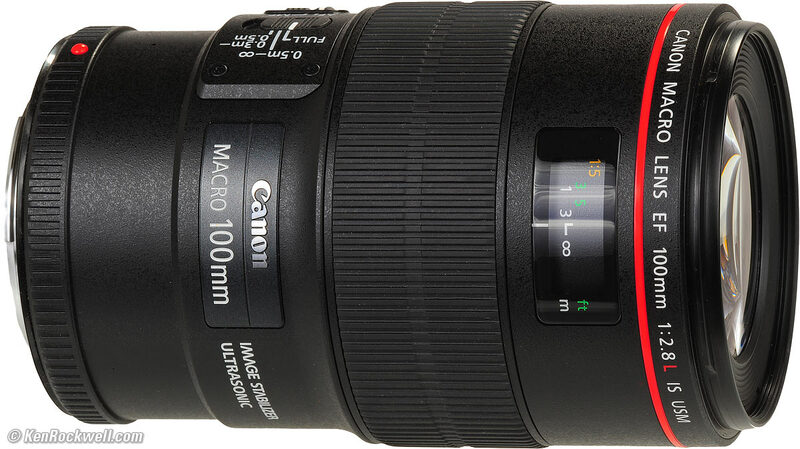 View some photos shot with the Canon 100mm Macro lens on full frame bodies. This is one of several fisheye choices for 6D Mark II shooters. A sharp fisheye at 15mm, you can also shoot this lens at 8mm without a dome port shade in order to produce circular fisheye images. Check out some examples in Wide-Angle in Bunaken or read or full Canon 8-18mm Lens Review. Other great fisheye lens choices for the Canon 6D Mark II will be the Sigma 15mm and the Tokina 10-17mm fisheye lens (between 15-17mm since this is an APS-C lens). The Sigma will likely deliver better image quality, however the Tokina is very convenient if you already have it in the camera bag. It's safe to say that this is the best choice for those who are buying their first wide-angle lens and don't have a strict budget. Most underwater shooters use rectilinear wide-angle lenses for shooting subjects that don't come close enough to fill the frame with a wide fisheye lens: sharks, whales, sea lions, dolphins, etc. 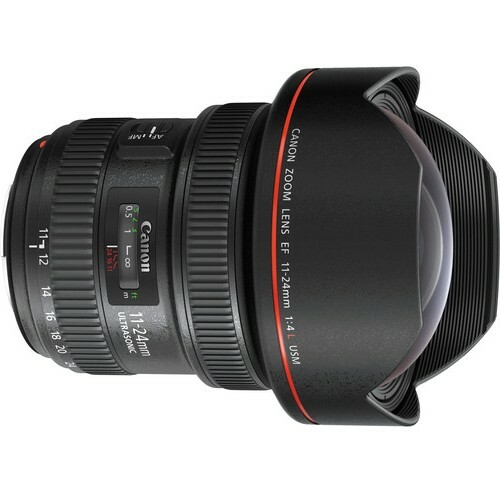 The most popular rectilinear wide-angle lens for Canon full frame DSLRs has been the Canon 16-35mm f/2.8 Mark II. This lens sat at the top of the selection for the last few years in terms of corner sharpness, speed, and price... although that will change as more new shooters purchase the version III. 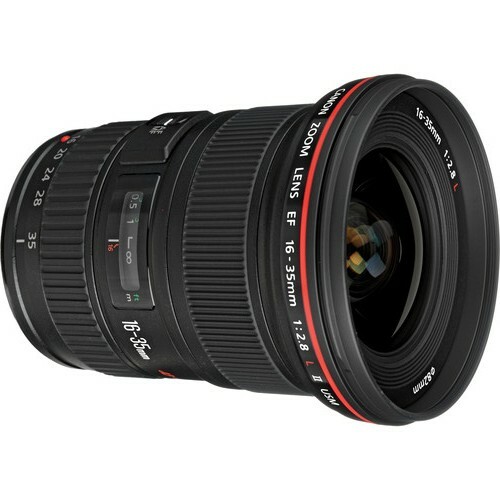 Want the widest lens you can buy? 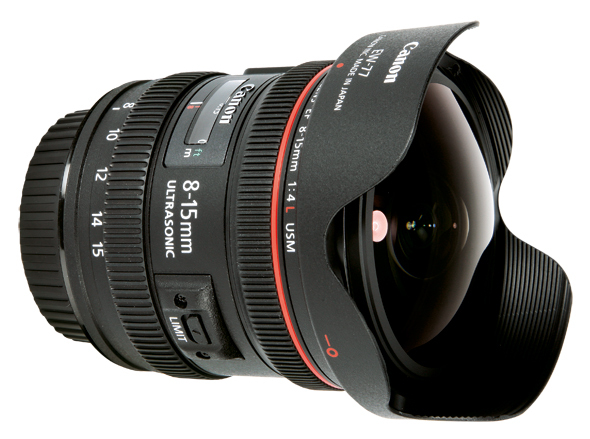 The Canon 11-24mm offers a much wider field of view than 16mm. This perspective is great for reefscapes, massive wrecks and very wide shots where you do not want the distortion of a fisheye lens. The downside is that this lens is larger, heavier and more expensive than the other wide-angle lens choices. Underwater photo and video shooters on a budget will be looking towards the Canon 16-35mm f/4L or the Canon 17-40 f/4L USM wide-angle lenses. And unless you're a pixel-peeper with critical details in the corners of your images, it will be hard to tell the difference in IQ between these lenses and the popular 16-35mm f/2.8L II (we haven't tested images with the new 16-35 III yet). The quality of the dome port you are shooting through will make a much more significant difference. These lenses are also much lighter and sport 77mm filter threads instead of 82mm - which is significant for topside filter use. There is still no announcement from manufacturers yet but we are expecting housings these companies. View all the cameras, lights and accessories at Bluewater Photo. Chino Mendoza , is an avid diver and underwater photographer and tries to go everytime he can. He is based in Manila which is a few hours Anilao which is the “critter capital of the Philippines” He likes to shoot macro and his favorite subjects are nudibranchs and frogfishes.